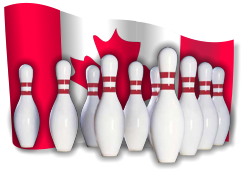 We're a free service to ALL Canadian bowlers in ALL parts of Canada. Our new web site brings the latest features in user friendly navigation but that's not all. We now have the capability to provide a wide array of multimedia presentation options to bring you the news in brand new ways. Share your bowling news with us. It's easy to submit news. Become a member today, it's free!!! Dan MacLelland Wins Top Prize! MacLelland Qualifies 3rd, Finishes 4th. William Scotty Laughland of Windsor Ontario Canada, a CTF, WECKBA and ABC/USBC Hall of Fame member, died May 20th 2016. He was 86. 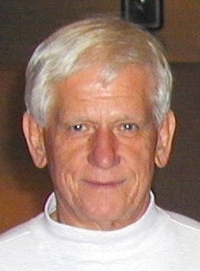 Scotty, who won multiple titles in Canada and the United States and was inducted into the Ontario Provincial Hall of Fame, Windsor Essex Chatam Kent Bowling Association Hall of Fame, Windsor/Essex County Sports Hall of Fame and the ABC/USBC Hall of Fame and the Ontario Trillium Bowling Hall of Fame. He also has two Gold medals and one Silver Medal in Bowling Olympic catagories to his credit. (April 21, 2013) Joe Scarborough of Charlotte, N.C., rolled three consecutive 300 games, throwing 36 consecutive strikes, to start the first round of qualifying in the PBA50 Sun Bowl at The Villages at Spanish Springs Lanes Sunday (April 21st), recording the first 900 series in Professional Bowlers Association history. This 900 series also counts for the 23 recorded 900 in history. In 1963, Marion Ladewi is named Woman Bowler of the Year for a record 10th (and final) time. 3 300's same pair same night!